We've all either done it or had nightmares about it: dropping an expensive mobile device. Well, Amazon CEO Jeff Bezos thinks he has the solution--mobile phone airbags. Bezos reportedly applied for a patent in February 2010 for an airbag system for mobile phones and other portable devices. Just made public on Friday, the patent application details a system in which the device would detect it is being dropped and would deploy some type of damage protection system, such as an airbag. The technology would deploy the airbags in such as way so that the impact would be absorbed by the airbag first. This would cushion the blow and make the difference between a shattered screen and a device with a few nicks and scrapes. 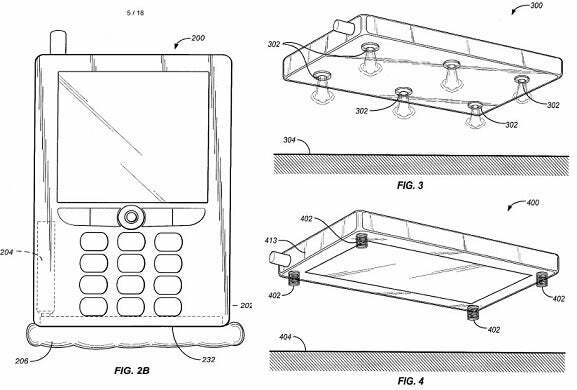 It might not be an airbag that saves your phone: Bezos’ idea says springs could be used instead, or maybe an expulsion of air (is your device going to land like a spaceship? ), or maybe even a combination of these ideas. Kind of out there, but certainly an interesting concept! No doubt the cell phone companies don’t really mind when you drop your phone and break it: most insurance plans don’t cover these types of accidents. At the same time, those of us with butterfingers -- myself included -- might see this as an attractive feature when shopping for a phone. A phone that cancels out my clumsiness? Yes please!